The nature of Dedicated Servers or their purpose is that it’s usually associated with Businesses that have already matured over time consisting of a large workforce or clientele. This statement is obviously true owing to the influx of data and load that dedicated servers are capable of handling. Imagine if your server crashed, your company could lose out on potential customers and in turn, could damage your business in many ways. Thus, having a reliable dedicated server hosting package is paramount for a business that is growing steadily. 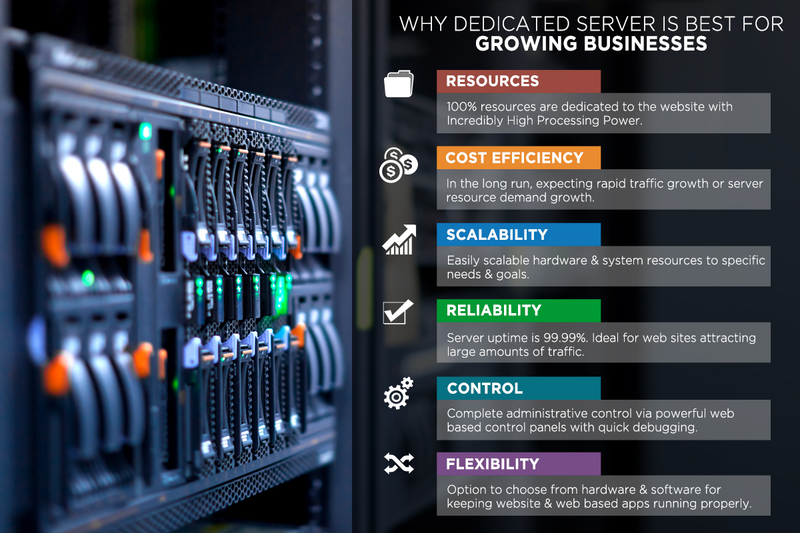 Here are a few reasons for why dedicated servers are a reliable investment that could define the growth of your business in a long run. There should be no room for contemplation if you know your business is going in the desired direction. One decision could really change the future of your company. Feel free to share your thoughts on this infographic in the comments section below.